The Topside Dual has a wattage output range of 5 to 200W, a resistance range of 0.08 to 3.5 ohm, and a voltage output range of 0.8 to 12V. 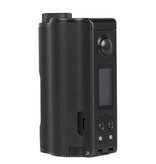 The Dovpo Topside features VW output mode, temperature control, and bypass mode. Unlike its predecessor, the Topside Dual is available with temperature control suite that supports Ni200, Titanium, and SS316 heating materials. 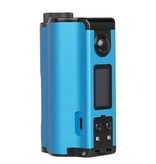 The Topside has a temperature output range of 200 to 600 Degrees Fahrenheit and a 0.05 to 1.5 ohm TC resistance range. 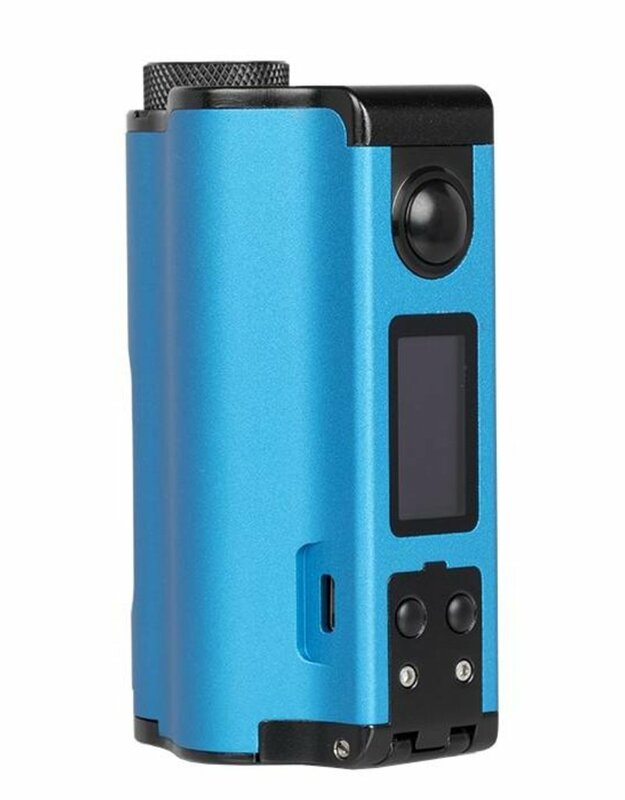 This box mod has a 0.96 inch OLED screen with vertically arranged information that displays output mode, output wattage, output voltage, atomizer resistance, output current, and battery life indicator. The Topside Box Mod family's unique selling point is its threaded top filled 10ml squonk bottle built into a plastic casing. The knurled top cap conveniently allows refilling without removing the squonk bottle casing from the device. 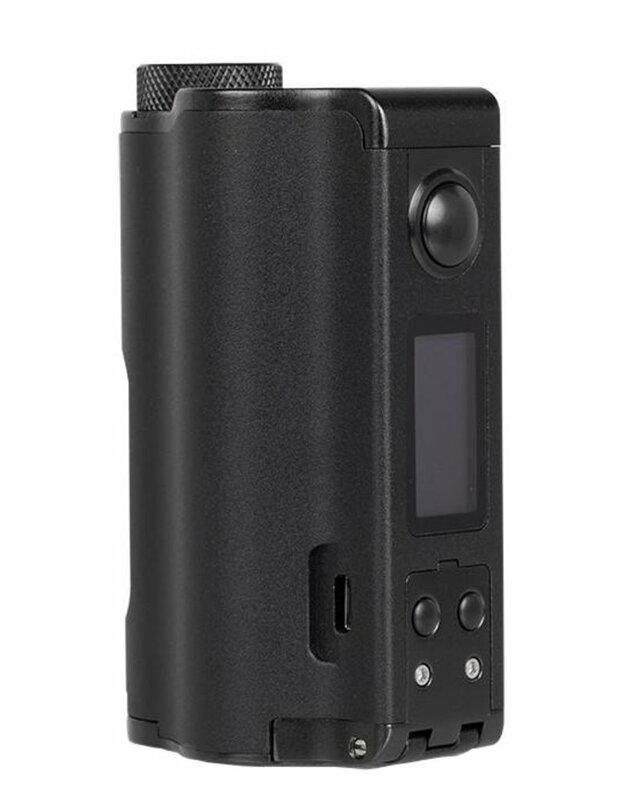 A spare squonk bottle comes with the purchase of a Topside Box Mod. The Topside features a three button control interface consisting of an over-sized firing button and two adjustment buttons. The battery cover is a simple slide-to-lock design and fits two 18650 batteries. The Topside has a micro USB port along the side which allows for charging and software updates. The Topside Dual has a gold-plated, spring loaded 510 connection with a leak resistant base. This box mod is an excellent device featuring a solid zinc alloy, aluminum alloy, and stainless steel construction with a revolutionary squonking method that continues to astound vapers everywhere.